A revitalizing, exfoliating cream with the greatest comfort feeling, even for sensitive skin. It removes impurities and dead skin cells. Recommended for all skin types. Use one to three times a week. Apply a small amount and massage in tiny circles. Rinse off thoroughly with tepid water. 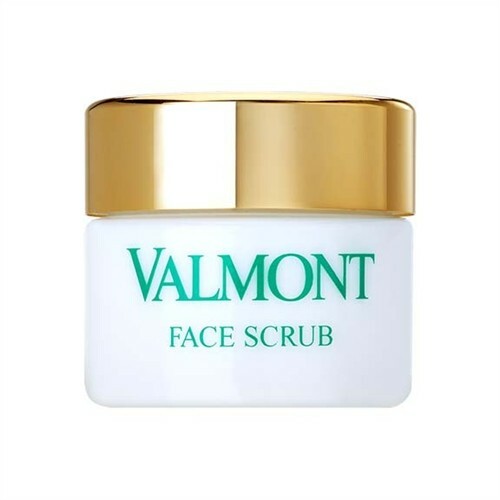 This exfoliating cream, containing minute diatom algae particles, helps stimulate micro-circulation without irritating skin, thus preparing the skin for the application of subsequent VALMONT products. Apply to clean skin by gently massaging with circular movements. Rinse with warm water then apply the appropriate skin care product.